The School of Communications welcomes its 2019 class of Communications Fellows. Fellows wrote their own mini biographies, which you can read below. Molly Bauer was born and raised in Flourtown, Pennsylvania, a small town just outside of Philadelphia, where she attended Springfield Township High School. During her high school years, Molly stayed busy with many clubs and activities. She played field hockey and lacrosse and ran indoor track. She was a member of her school’s Youth and Government club, serving as the president her senior year and state-wide committee chair for two years. Molly was also the treasurer of her class and participated in her school’s morning news broadcast for two years, as both on-camera talent and an audio engineer. In the summer of 2014, Molly was selected as one of 14 high school students from across the country to serve on the National Youth Advisory Board for the nonprofit organization Souper Bowl of Caring. While on the board, Molly spread the mission of Souper Bowl in her community and the Philadelphia area, organizing food drives, speaking at churches and writing articles for local publications about Souper Bowl. Molly cannot wait to become just as busy at Elon and take advantage of many opportunities, such as study abroad, volunteer work and, of course, the Communications Fellows program. Gabrielle Beamon is an Honor Graduate of Eagle’s Landing High School in McDonough, Georgia. She was born in Washington, D.C., and lived in Silver Spring, Maryland, before moving to the metro Atlanta area when she was 7. She has been dancing for eight years, concentrating on ballet, jazz, and pointe. During her high school years, Gabby excelled in her academics and was involved in many extracurricular activities. She was a member of the chorus, Student Government Association, Beta Club, National Honor Society and Spanish Club. She became interested in communications, especially public relations, while taking a yearbook class. With her intuitive nature and excellent writing skills, she was the only sophomore to publish two articles in the 2013 yearbook. She loves movies and all types of music, and considers herself a New Jack Swing and classic hip-hop enthusiast. 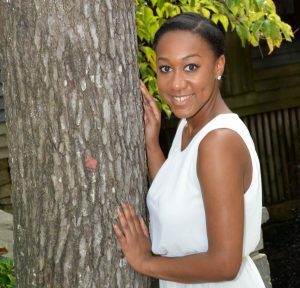 Gabrielle plans to major in Strategic Communications and minor in Dance. One of her dreams is to work on the public relations side of nonprofit organizations to help them reach their maximum potential and achieve their goals. She is so excited to be a Communications Fellow at Elon and to partake in all that Elon University has to offer. Avik Bhargave was born in Durham, North Carolina, and has lived in Atlanta for the past 14 years. His journey to Elon began at McIntosh High School, where Avik was class president, an anchor on the morning news and debate team captain and founder. After two years of fun at McIntosh he decided to transfer to the Paideia School for the chance at new experiences and opportunities. 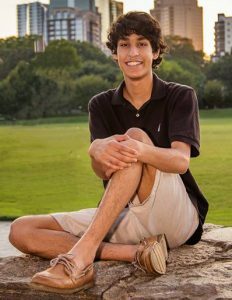 While at Paideia, Avik continued to captain the Public Forum debate team and participate in student government. Avik’s communication experience started with “Music from India,” a local radio show for which he is currently a producer. While in high school, he anchored the morning news and was a copy editor for his school’s newspaper. Avik is enthusiastic about his future at Elon and is looking toward a future in broadcasting. Reilly Butler graduated from Mars Area High School in Mars, Pennsylvania. During her high school career, Reilly participated in many clubs and extracurricular activities. She lettered in both cross country and track all four years and was a member of the 2013 WPIAL cross country championship team. Reilly was a senator in Student Council, where she took on various leadership positions. She was also a member of National Honor Society. 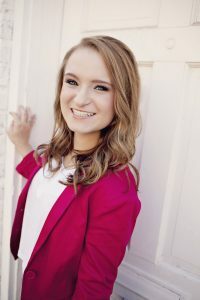 Outside of school activities, Reilly was an active member in her church’s youth group, where she helped teach Vacation Bible School and went on two mission trips. She is also an avid skier and spends her winters as a ski instructor. She had the opportunity to volunteer with the Winter Special Olympics, as well. During her junior year, Reilly took a journalism class, which inspired her to pursue communications. Throughout her senior year of high school she took a Broadcast Media class and had the chance to anchor for her school’s morning news program, “Orbit News.” Reilly is honored to have been chosen to be a Communications Fellow. She cannot wait to see what her time at Elon has in store for her. Colton Cadarette is a graduate of Belmont High School and is from Canterbury, New Hampshire, where he lives with his twin sister and parents. Colton spends time fishing and hanging out with friends. In high school, he was the president of his class and of the Future Business Leaders of America. In addition, Colton has benefitted from work and internship experiences in the marketing and corporate development department for a local concert venue, and in marketing and sales with the Manchester Monarchs, the American Hockey League affiliate of the Los Angeles Kings and the 2015 Calder Cup Champions. Colton plans to study strategic communications and minor in business, and he is extremely interested in public relations in the professional sports and entertainment industry. While working with the Monarchs, Colton developed a passion for community and media relations, and he looks forward to gaining continued experience through internships and coursework. Lindsey Case grew up just outside of Minneapolis and graduated with honors from Orono High School. After joining yearbook staff as a freshman, Lindsey found her passion within the creativity and liveliness of communications. She was engaged in the award-winning publication for four editions, acting as business ads manager, public relations manager and editor-in-chief. 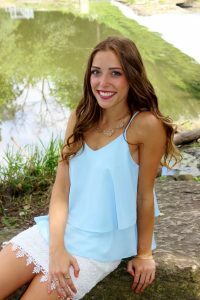 Lindsey was further involved during her high school career as a varsity dance team captain, an international DECA competitor and a National Honor Society member. She also volunteered time at her church as a student director of the “Passion Play,” an annual production put on by confirmation candidates. Her love for service and travel led her to mission opportunities abroad, most significantly with Nuestros Pequeños Hermanos in Miacatlán, Mexico. 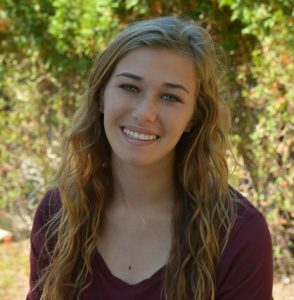 While at Elon, Lindsey intends to study Strategic Communications and Marketing, and she is ecstatic to be a part of the Communications Fellows program. She looks forward to learning and growing during her time as a Phoenix. Heather Deiner was born and raised in Snohomish, Washington, and graduated from Saint James School in Hagerstown, Maryland. Heather participated in a number of sports, including soccer, dance and lacrosse, which she captained her junior and senior years. During her junior year, she became one of the heads of her school’s chapel, and she participated in the school’s newspaper and yearbook programs. By her senior year, she was an editor with both and had developed a passion for sharing stories. Heather wishes to achieve a dual major in communications and theatre, and she plans on studying abroad and interning at a wide variety of locations in order to create a strong foundation of cultural context for her future careers. Her goal is to find a position that allows her to help others throughout the world. 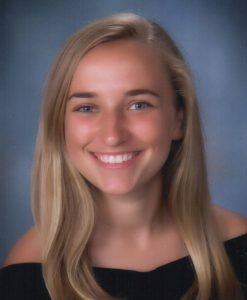 Lillian Engel is a graduate of New Canaan High School in Connecticut and is excited to be a part of Elon’s School of Communications. She is grateful to have two incredibly supportive parents, two younger siblings and a best friend who is her identical twin sister. With a love of music, Lillian played trumpet in the school band for all four years and plays piano at home. She is looking forward to bringing her trumpet to school and playing in Elon’s marching band, the Fire of the Carolinas. While in high school, Lillian spent most of her time in the NCHS Theatre Department. Not only did she love being on stage with either a lead or ensemble role, but she was often found backstage running the lighting for various productions. When she wasn’t onstage or backstage, Lillian discovered a love of writing and directing her own short plays for the annual student Dramafestival, where she won second place sophomore year and first place both junior and senior years. She uncovered a passion for filmmaking while working on various assignments throughout her high school career, and she especially enjoys the editing process. In her senior year, Lillian was awarded the Peter Kingsbury Award for Film by her high school for her work creating original content through film. Outside of school, Lillian was actively involved in her church’s youth group and became both a Catechist and Eucharistic Minister when she was a junior. When not focused on schoolwork, Lillian loves to sing and travel, and she would like to study abroad in France during her time at Elon. While at Elon, she cannot wait to get involved with programs such as Cinelon and FreshTV and whatever clubs she runs into. Ashley Follenweider graduated with high honors from Benet Academy in Lisle, Illinois. Since she was 8, Ashley has been immersed in the world of theatre, playing the lead in many school and local productions. Furthering her leadership skills, she co-directed a student one-act play. When she was not on the stage, Ashley participated in varsity golf, National Honor Society, Spanish Club and, of course, the newspaper. Her short story “The Wishing Flower” was published in a national book. Combining her passion for theatre and love of writing, Ashley discovered her desire to become a broadcast journalist. This summer, she had the privilege to host her own radio show broadcasted live from WXAV 88.3FM Chicago. Inspired by her experience, Ashley plans to be involved in ELN, FreshTV and WSOE. She also plans to double-minor in Spanish and Political Science, as she is fascinated by the world culture. Ashley is honored to be named a Communications Fellow and can not wait to take advantage of all the opportunities offered at Elon. David Flynt hails from about 15 miles outside of Richmond, Virginia, in the town of Midlothian. He graduated from the Governor’s Health Sciences Academy at Cosby High School. He has always been a major sports fan, most notably of NASCAR, NFL, college football, MLB and golf. It is through these interests that he discovered his love for sports broadcasting. Due to being diagnosed with Cerebral Palsy at 18 months of age, David knew he had to find another way to make the sports he loves into a career. When David was in the eighth grade, the local youth football team was looking for an announcer, and David decided that he wanted to try his hand at the microphone. From then on, he fell in love with broadcasting, and in addition to announcing for the youth football team through his senior year, he has announced JV baseball and softball, and freshman and JV football for Cosby. He operates the soundboard once a month at his church and was an active member of the Youth Group. He enjoys reading, eating good food and listening to country music. He has a younger brother, Benton, and a Miniature Pinscher, Buddy. He is excited for what awaits him at Elon and is ready to embark on his Elon experience. Julia Gellis grew up in Port Washington, New York, and graduated from Paul D. Schreiber High School. During her time at Schreiber, she was involved in Key Club, Spanish Honor Society and Junior Class Club. Outside of school Julia enjoyed volunteering at her church. As an active member of her youth group, Julia completed the Midnight Run during her high school years. She taught religious education to 1st and 3rd graders and also was a member of her town’s Creative Readers program, in which she assisted young children with learning disabilities with reading through theatre. Her main hobby is dancing. Julia has been taking classes since she was 3 years old. Throughout the years, her repertoire has included ballet, jazz, tap, hip-hop and African dance. During her senior year, Julia took seminars at Landmark Worldwide and is a graduate of the Forum and Advanced Course. She spent the summer of her junior year in high school taking two courses at Discover the World of Communications at American University. This is where Julia became passionate about pursuing a degree in Communications. 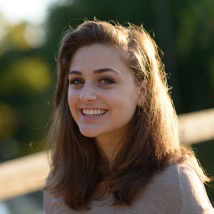 At Elon, Julia plans on majoring in Strategic Communications and minoring in Business. Julia is thrilled to be part of the Communications Fellows Class of 2019. Among many things, Julia is excited to be engaged on campus, study abroad, make everlasting friendships and take advantage of all the opportunities Elon has to offer. Sam Grabenstein was born and raised in Asheville, North Carolina. He graduated from Christ School, where he was a member of the National Honor Society, BETA Club and Toast Masters Club. He also served as a Day Student Prefect. 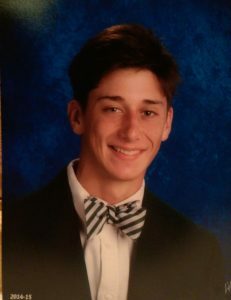 Sam was a member of the varsity soccer, wrestling and baseball teams at Christ School. Sam was named to the Perfect Game Academic Showcase Team in 2014 and recognized as an All Conference Player his senior season. Outside of school, Sam has been very fortunate to travel around the world and the United States with his family, visiting 14 countries and five continents. He also participated for several years in a spring service trip to villages in Costa Rica and Nicaragua, where he helped build a school. He has been employed every summer in high school on Christ School’s Outdoor Maintenance Crew. He developed an interest in advertising after attending an American Advertising Federation camp in New York City during his junior year. He hopes to use what he has learned traveling the world and meeting people of many different backgrounds in his intended major of Strategic Communications. Sam is honored to be a part of the Communication Fellows and looks forward to attending Elon. Alex Hager was born and raised in Darien, Connecticut. 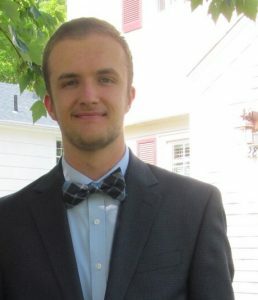 At Darien High School, Alex pursued his passion for multimedia journalism as president of Blue Wave News, a video news show for which he was the lead anchor. He also co-founded and anchored WaveCast, a sports media network covering the school’s sports teams. After two years on the basketball team, Alex retired from playing sports to focus on media, becoming the radio voice of the varsity baseball team and interning with Hersam Acorn Radio. In addition to journalism, Alex has a passion for international cultures and the Spanish language. He has been an active volunteer ESL tutor, teaching English to Spanish-speaking adults near his hometown. While at Elon, Alex looks forward to studying abroad, becoming a part of Elon Local News and pursuing a minor in Spanish, business or international relations. Lily Hamilton graduated with high honors from Concord-Carlisle Regional High School in Concord, Massachusetts. During high school, she served as a student advisory leader, co-hosted her own radio show and was a member of CCHS’ Gender Equality Club. 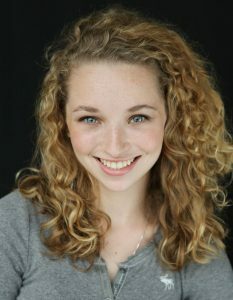 Lily has a passion for theatre and has acted in many productions throughout her high school career. 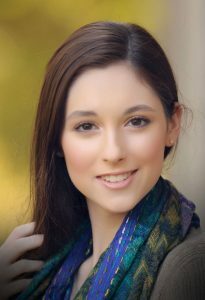 She had the opportunity to perform at the Massachusetts Educational Theatre Guild Festival two years in a row and has performed at the New England Drama Festival, as well. Her love of leadership and public speaking led her to work as a counselor at a local children’s performing arts camp, as well as a docent at The Robbins House, a historic site in her hometown. Lily also enjoys traveling, playing the ukulele, reading and photography. She is excited to see what the next four years as an Elon Communications Fellow will bring. 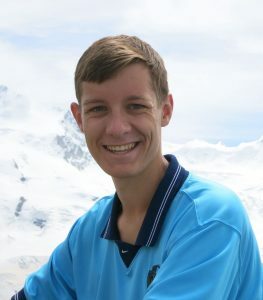 Ian Kunsey is a graduate of William H. Hall High School in West Hartford, Connecticut, where he graduated with high honors. While Ian has always had a love and appreciation for film, he did not take his first video production class until his senior year of high school. 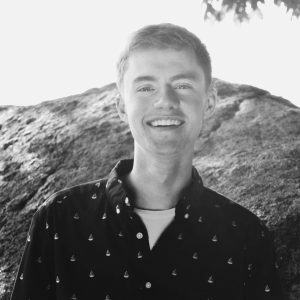 During his final year, Ian was heavily involved in school-wide video productions, directing and producing videos for his school’s freshman orientation, as well as creating a visual overview of the school and videos for various clubs and organizations. Ian and three other classmates placed third in Connecticut’s annual DMV Teen Safe Driving Video Contest in April of 2015. 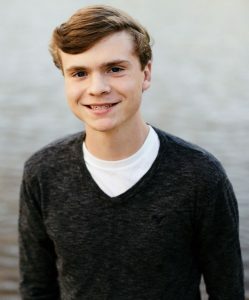 Along with video production, Ian has completed four years of photography and graphic design and hopes to continue his study of both in some capacity at Elon. An avid follower of soccer and football, Ian wishes to apply his passions for both cinema and sports at Elon by participating in Elon Student Television and Cinelon. Ian is thrilled to be a part of the Communications Fellows program and cannot wait to be a part of the Elon community. Jordan Levine is a graduate of Deep Run High School in Glen Allen, Virginia. Her passion for media grew when she joined the Wildcat News 7 Morning Announcements staff her freshman year of high school, working her way up to director her senior year. She was inducted into the Quill and Scroll Honor Society due to her dedication to the production of the newscast. Jordan broadened her communication abilities through a journalism class, contributing to the school’s newspaper as a Senior Copy Editor. 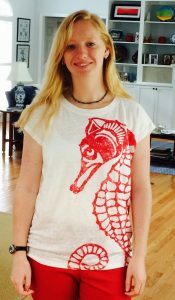 Her strong writing skills earned her the Hollins University Book Award and a scholarship to the Hollinsummer creative writing program. Beginning in ninth grade, Jordan was a member of stage crew for eight productions, five of which she served as lighting designer. Jordan’s leadership positions outside of media organizations included president of Deep Run Challenge, an anti-bullying/pro-kindness club at her school that she helped organize. Jordan’s dedication to Deep Run Challenge and her passion for inclusion earned her the University of Virginia John Merchant Book Award, as well as the Brotherhood-Sisterhood Youth Award from the Interfaith Council of Greater Richmond, an award given to one student per school in the Richmond area who demonstrates inclusion of all regardless of ability. Jordan is excited to begin her time at Elon as a Communications Fellow, where she seeks to use her communications degree to create a positive influence in her community. Alex Mancuso was born to an American father and a Japanese mother. After living in Connecticut for six years, Alex and his family moved to Georgia, where they has lived ever since. 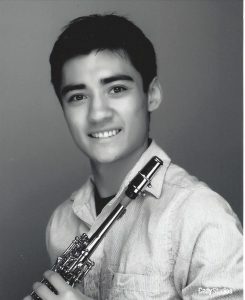 He graduated from the magnet program for International Studies at North Cobb High School, where he was the captain of the debate team, played tenor saxophone in Wind Symphony Band and also Saxophone Quartet, was on the swim team and served as the Community Service Chair for the National Honor Society Chapter. 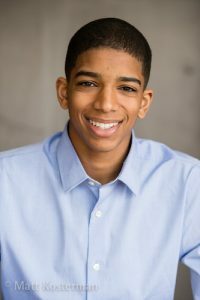 Outside high school, Alex participated in many activities, such as Boy Scouts, where he earned his Eagle Scout in 2013, and Okinawan Karate, in which he earned two black belts in 2014. A lover of travel and the outdoors, Alex has eaten ramen in Japan, scuba-dived in Mexico and ascended the Great Wall in China. He wishes to continue traveling throughout his life. Alex realized his passion for communications when he served as an anchor to Hardly News, a segment on his school’s news show, “Tomahawk Today,” where he discussed current issues, while putting a “Daily Show” style to it. He even landed an internship at the WBHF radio station this summer to whet his feet. 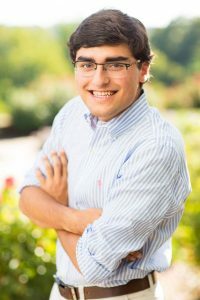 At Elon University and as a Communications Fellow, he wishes to study broadcast journalism and international studies and to one day travel the world while documenting and filming his experiences. Jason Phillips currently resides in Charlotte, North Carolina, where he graduated from Marvin Ridge High School. He lived there for most of his life after being born in Pittsburgh. 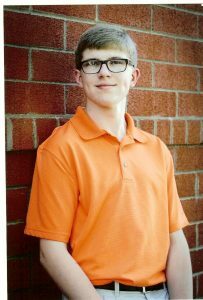 At Marvin Ridge, he was an active participant in the school chorus and the varsity golf team. Jason has always had an interest in journalism, particularly relating to sports. He can recall writing fake news articles about his brother’s little league baseball team as far back as elementary school. In his spare time, he loves to watch his favorite Pittsburgh teams and then write his own thoughts about them. Writing has always been a passion of Jason’s, and he knows that he will be able to fully pursue this passion during his four years at Elon. He is incredibly excited to be able to explore these interests as a Communications Fellow. When Jason’s not spending time watching sports, he can be found teeing it up on a golf course with his dad or spending time with his family and friends at church. Diego Pineda Davila was born and raised in Guatemala City, Guatemala. When he was 8, he moved to Raleigh, North Carolina, where he has spent most of his life and graduated from Cardinal Gibbons High School. At school, he was part of the National Honor Society, vice president of the school’s nonprofit organization, arts editor for the school’s art and literary magazine, “The Repeater,” and a freshman retreat leader. Diego discovered his passion for photography when he took a photojournalism class and became a photographer for Gibbons Media. The photos he took at Cardinal Gibbons helped him receive individual awards from statewide competitions. Diego has always had an interest in broadcast journalism, and the interest grew when he entered Explorer Post 5, a broadcast program at WRAL-TV for high school students. He became president of the program at the end of his junior year and through this experience he learned leadership skills and how to work in front of the camera as an anchor and reporter, and behind the scenes as a director and in graphics and electronics. 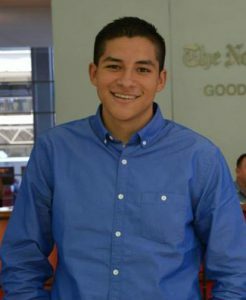 Diego was also selected as one of 25 students nationally to attend the 2014 Princeton Summer Journalism Program, which taught him what it meant and took to be a journalist. He was even able to cover and take pictures of the warm-ups of an NFL preseason game. Diego is honored to attend Elon University as a Communications Fellow. He has always wanted to be a voice for the voiceless and believes that a pursuing a career in journalism will grant him that opportunity. He is very excited for his next chapter at Elon and all of the new experiences and opportunities that he will encounter. Carter Rayburn graduated from Oak Park River Forest High School in Oak Park, Illinois. During his time at OPRF, Carter worked as a cameraman and correspondent on three different student-run television shows. He also was an anchor on the school news program and appeared periodically on the video morning announcements. Carter was involved in student council and served as vice president of his class senior year. Carter loves sports and played almost any sport you can name competitively. He particularly loves to play pick-up softball and basketball with his friends. Carter also enjoys sitting in bed and finishing a dozen Krispy Kreme donuts while watching Netflix. Carter is ready for the opportunity to be a Communications Fellow and is excited to be starting a new chapter in his life at Elon University. Fletcher Rowe, born and adopted from a small town in eastern Russia, was raised in Richmond, Virginia. He graduated from Trinity Episcopal School, achieving the International Baccalaureate Diploma and membership in multiple honor societies. During his time there, he led Unite Club, a club that sparked conversations and action concerning social issues, diversity and inclusion in the world today. This club became one of his passions and led him to creating Trinity’s first diversity conference, a day where students from around the Richmond area were joined together to interact and discuss why diversity & inclusion are important. Along with his interests in promoting diversity, Fletcher has a special love for social media. Fletcher has spent multiple years actively using social media as a way not only to express his creativity, but also to spread awareness for causes that are important to him, including multiple social issues, current events and an overall mission to send out positivity into the world. During high school, he was able to use his interest in social media to help his high school a cappella group, the Trinity Tritones, to have an online presence. Along with this, he was fortunate enough to have the opportunity to intern at 80amps, a Richmond-based business incubator that specializes in making creative ideas a reality. His time as an intern there further expanded his passion for communications and marketing. He is excited to participate in the Communications Fellows program because it will give him opportunities to explore other fields of communications as well as meet and work with others that are as passionate about communications as him. Felicia Salden is a graduate of Mansfield High School in Mansfield, Massachusetts, and is thrilled to be a Communications Fellow. Throughout high school, she played several sports, including both indoor and outdoor track, cross country and basketball. Felicia was also a member of the National Honor Society and National Art Honor Society, which both gave her numerous volunteering experiences in her community. 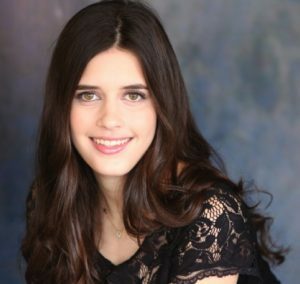 She acquired many leadership skills in her Jewish youth group, BBYO, when she was elected as her chapter’s secretary in her junior year and president in hersenior year. In addition, she served on the regional Public Relations Committee for two years, which deepened her interest for communicating with others. Felicia learned more about the field when she was an intern at her town’s Rotary Club for part of her senior year, working on communication and marketing based assignments. For the past two summers, she has been an overnight camp counselor and has loved every part of the job. Felicia plans on majoring in Strategic Communications with a particular interest in advertising. She cannot wait for all of her adventures at Elon to begin. 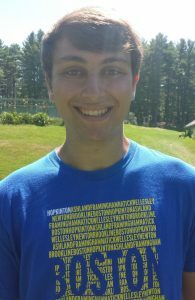 Reed Stiller is a graduate of Needham High School and is looking forward to furthering his education at Elon University. He was heavily involved in his school’s student government, speech and debate team, and the boy’s volleyball team. Reed discovered his interest in communications during his involvement in Young Broadcasters of America, a youth program that teaches students the fundamentals of broadcast television. He has also participated in the world challenge program. In this program, Reed helped lead a student-run trip to both Zambia and Botswana, where his team helped a small rural community build homes for teachers in the local school. Reed is eager to be a part of Elon’s community in the fall.